Sky shareholders are having a great day. Comcast investors? Not so much. Sky's stock moved fast Monday to catch up, gaining 8.6% to £17.22 ($22.58) in London. But investors are worried that Comcast overpaid by offering more than twice Fox's initial bid in December 2016. Comcast shares dropped over 7% in New York. Some industry analysts issued scathing assessments of the deal, with some arguing that Comcast spent far too much for a company with major businesses like satellite video that could soon be endangered. BTIG media and technology analyst Rich Greenfield wrote in a research note that Comcast investors "will not be happy" because "it is hard to see how Comcast will be able to dramatically increase earnings" with Sky. Craig Moffett of MoffettNathanson Research went even further, writing that Comcast had "grossly overpaid" for a company that could be "an albatross." "It seems as though they would like investors to forget that [Sky] is also a satellite TV provider, and satellite video distribution is increasingly becoming obsolete," he said. Comcast has given Sky shareholders until October 11 to accept the offer. 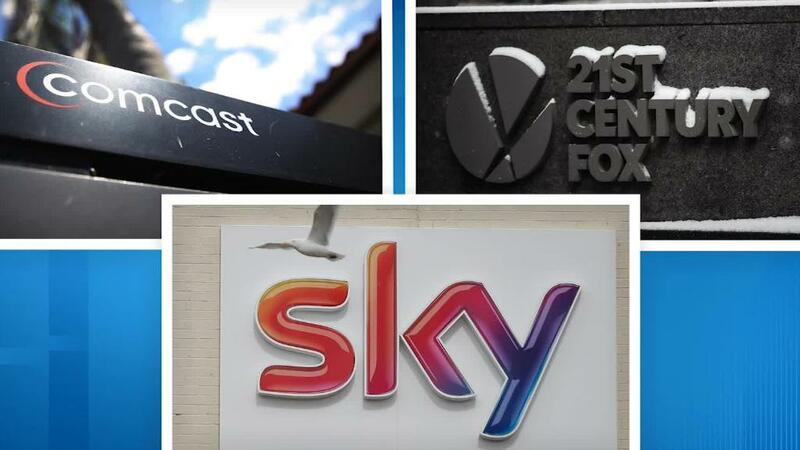 Fox is now considering what to do with the 39% of Sky it owns, and which it had agreed to sell to Disney along with its entertainment assets under a deal that was approved by both sides in July. Fox said it would "make a further announcement in due course." "Sky is a remarkable story and we are proud to have played such a significant role in building the incredible value reflected today in Comcast's offer," it said. A committee of independent directors at Sky, which does not include board members with close ties to Fox, has recommended that shareholders accept the Comcast offer. Sky and its 23 million subscribers are attractive assets to US media companies that want to expand their operations to Europe and bolster their defense against an onslaught from Netflix (NFLX) and Amazon (AMZN). It also carries top original shows and valuable premium sports content, such as Premier League soccer. Comcast CEO Brian Roberts called the auction "a great day for Comcast" in a statement on Saturday. "This acquisition will allow us to quickly, efficiently and meaningfully increase our customer base and expand internationally," he said. "We couldn't be more excited by the opportunities in front of us. We now encourage Sky shareholders to accept our offer, which we look forward to completing before the end of October 2018." Brian Wieser, senior research analyst at Pivotal Research Group, wrote in note to clients that Disney could sell the 39% stake controlled by Fox and invest the proceeds in expanding streaming services such as Hulu. Comcast owns 30% of Hulu, and it's also possible that some sort of swap could be engineered. "Presumably both Disney and Comcast will find that it is in their mutual best interests to allow each party to consolidate as much of Hulu and Sky, respectively, as possible," said Wieser.